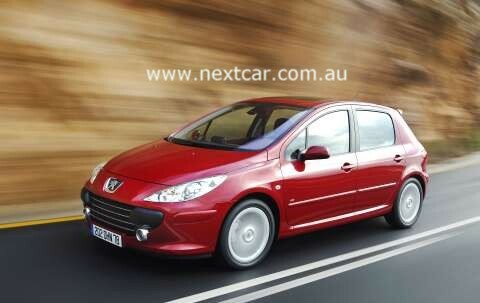 The new Peugeot 307 has been launched at the Sydney Motor Show. 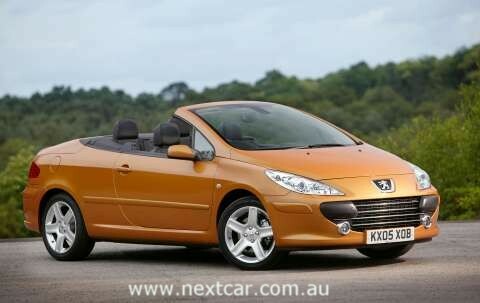 The new 307 benefits from the new Peugeot family appearance while retaining all the innovative qualities which earnt the 307 the ‘European Car of the Year’ title back in 2002. The style of the new 307 has progressively evolved, now expressing a personality that is more dynamic and powerful while enhancing its elegance and appeal. With a more sporty family look, the new front design of the new 307 has a single air intake and surround, with front fog lights in two chrome housings and the Peugeot badge in its centre above. The new front panel is integrated into a new, shorter aluminium bonnet and at each side of the single air intake, two over riders protect the bodywork from minor front impacts. The new hi-tech larger elliptical headlamps now protrude further into the composite front wings, which overhang a slightly curved radiator grille featuring black or chrome horizontal bars that provides a dynamic, sporty appearance. All models are well equipped and feature outstanding levels of active and passive safety equipment. With price reductions of between $1,000 and $500, and with new levels of specification across the range, the new 307 is set to make an even strong impression in the market. The range is augmented by the addition of a new model – the 307 ‘Sport’ – a five door hatch featuring the 130kW engine already seen on the 307CC ‘Sport’ and the 206 GTi ‘180’. The 307 ‘Sport’ features impressive levels of standard equipment, offering those who want to combine technology and luxury the perfect choice in the form of a safe and sporty hatch. For the first time, the 2.0 litre HDi engine (already available in the Touring range), will be offered on the 5 door hatch model. A new and improved 2.0 litre petrol engine has also been introduced, developing 103 kW of power and a further 10 Nm of torque to add to the 307’s driving pleasure. The new 307 is now on sale, with Hatch and Touring models available immediately. 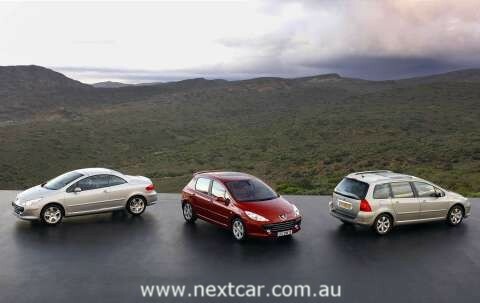 Although the XSE 2.0 HDi hatch and CC models which will arrive at the end of the year. NOTE: Prices excludes dealer delivery fees and the numerous statutory charges (commonly known as on-road costs). Additionally, please note that all prices, fees and charges are subject to change without notice, as are the specifications. 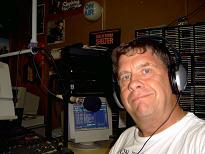 © 2005 All rights reserved. Next Car Pty. Ltd.